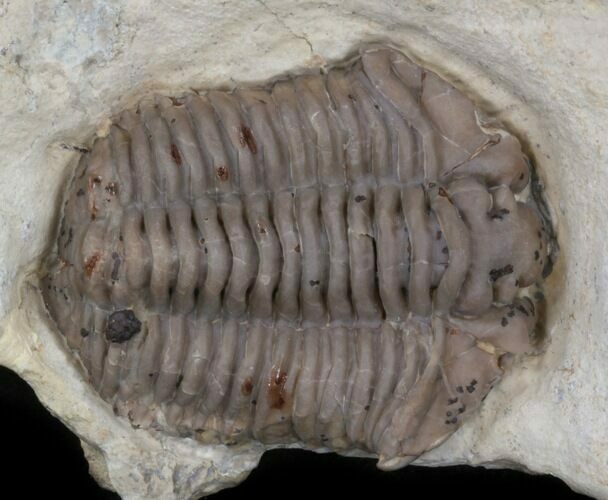 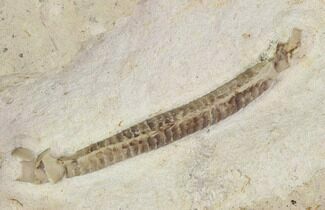 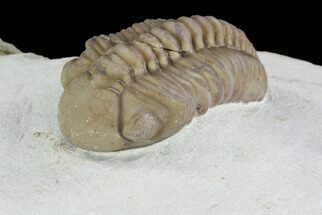 This is a rarely offered, 2" long Calymene clavicula trilobite from the Henryhouse Formation of Oklahoma. 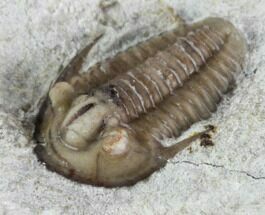 These trilobites are substantially older than the Devonian material from near Clarita. 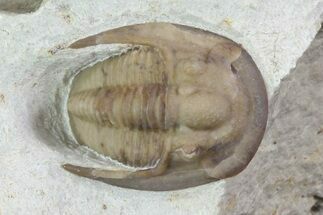 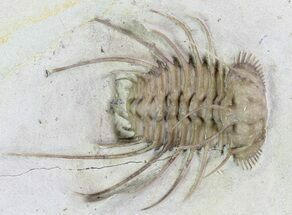 Unlike the Haragan there aren't any active quarries in the Henryhouse, so trilobites like this one were collected years ago. 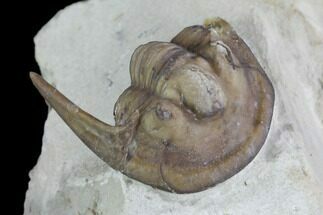 This specimen was found ventrally (upside down) and prepared down from the top.